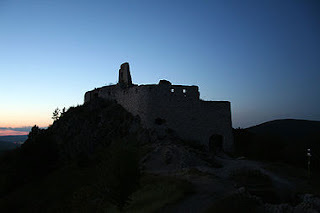 Dracula and the Countess of the Blood: Two "Real" Myths or Both True? Vald Tepes, the man who inspired Dracula. Dracula: This is a myth that was helped by the novel by the same name. The author Bram Stoker saw his name within a book, and accordingly name his title character Count Dracula what is truly interesting. 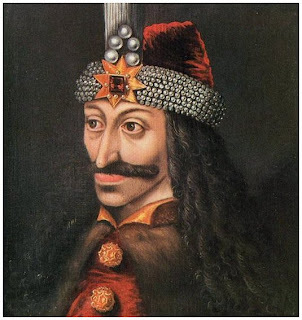 Vlad Tepes preferred method of killing was to Drive a stake through the body. It is interesting that this piece of information changed to driving a stake through a vampire's heart. The Countess of the Blood: A Real women, and through family connection has links to Vlad Tepes. She was a serial killer of the highest order, according to records the number of young women of both the peasantry and the lower nobility killed on her orders was 600 or more. She would kill these woman and bath in their blood. It was only when many young noble women went missing that her killing stopped. As she was higher nobility, she was walled away in her castle, with a small hole by which to pass food, until she died. I suspect that Bram Stoker had seen her name in this book as well, and mixed both to create a composite character.